This is one of a series of two Black Ops inspired Rolex divers from Bamford Watch Dept. 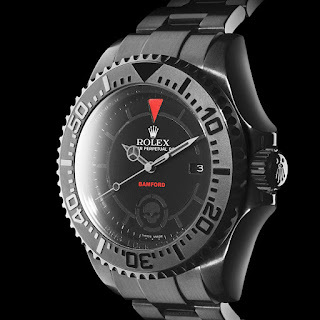 If you're a Rolex purist, look away now! 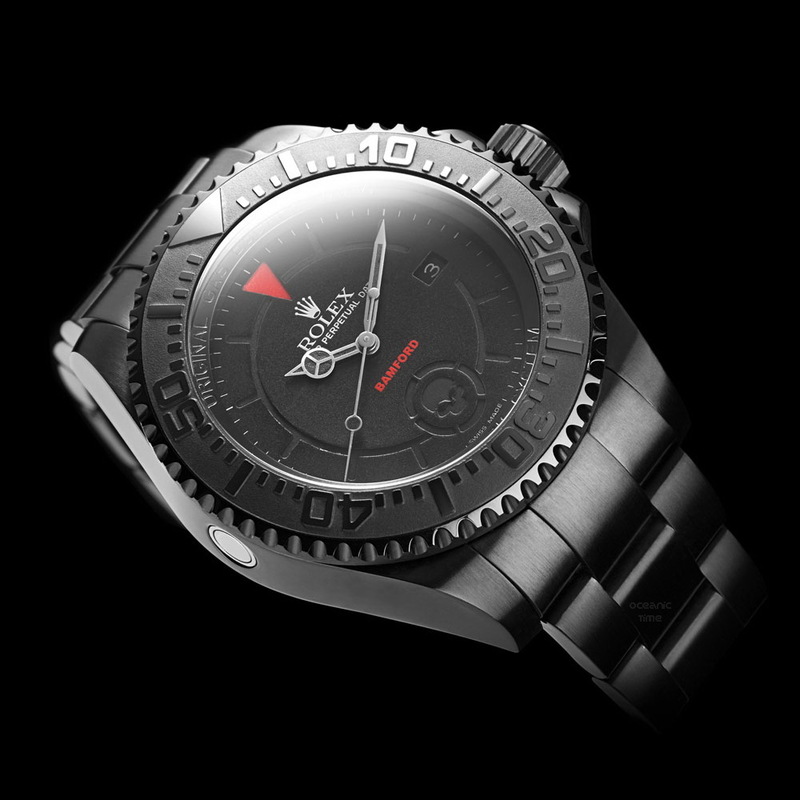 Introducing the new Bamford Deepsea Black Ops. 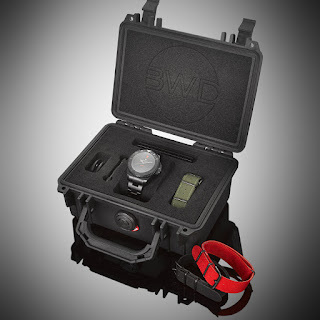 Its 44mm Stainless steel case has been given BWD’s signature matte black military grade Titanium coating that has been developed over several years in what BWD say is a ''secure'' facility! Really? 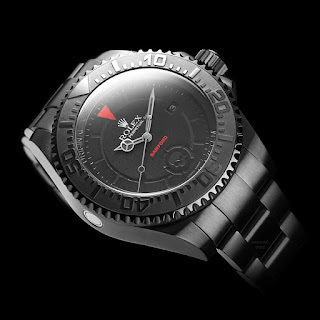 It also features a uniquely crafted reversed raised black ceramic bezel with a matte base and polished, raised markers, as well as a custom sandwich dial using SuperLuminova (strontium aluminate – based on non-radioactive and nontoxic photo-luminescence) giving a unique luminous design at night. 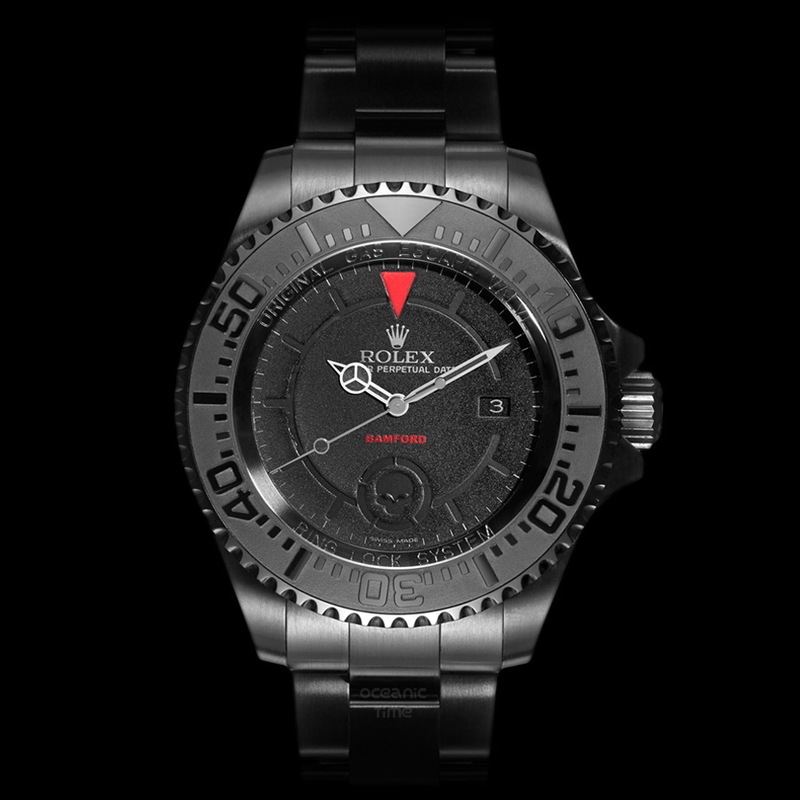 Its black hands feature black-colored SuperLuminova creating a green glow at night to match the dial. 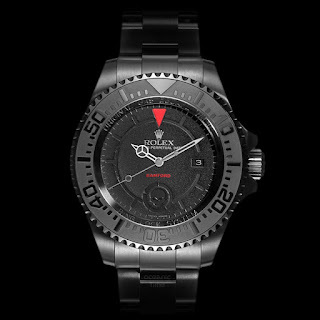 Black lume is pretty cool but it only produces a very faint glow. 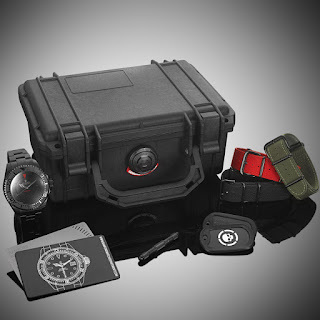 The black and matte black coated Black Ops Deepsea is available in a number of colors. It is a Limited Edition of just 25 pieces. Unfortunately I have no word on pricing but it'll likely make choke on your breakfast!